SPW's OD professionals assist managers and executives construct an accurate picture of his or her current reality— current performance, issues, objectives, career goals, strengths and development needs, etc. The coach helps the employee to gather this critical data in various ways, which may include some or all of these: (1) confidential interviews of people who work with the employee (peers, bosses, former bosses, current and past direct reports, clients, etc. ; (2) administering a personality assessment, such as the Myers-Briggs® Type Indicator; and (3) The Thomas Kilmann Conflict Resolution Mode® Instrument. The coach aggregates and summarizes the data, retaining anonymity as needed. The client and coach then digest the data; collaboratively develop goals for the coaching and codify them in a Professional Development Plan (PDP). If appropriate, the PDP is reviewed and approved by the employee's manager, and reviewed with the Human Resources or Talent Management representative. Ongoing coaching sessions are conducted in person, by phone and via e-mail. Some of the best coaching occurs when the client feels the need to talk; to think things through with their coach; to get clarity about something; or needs support for some activity, such as an imminent meeting or presentation. All personal growth and change begins with self-awareness. We use assessments to provide a solid foundation of self-awareness or the current reality. From there, clients can affirm their strengths, and determine goals for growth and self-improvement. When a new assessment comes on the market, if it is appropriate to our clients' needs, we add it to our toolbox. If the client has an internal 360 assessment, of course we review those reports. The Thomas Kilmann Conflict Resolution Mode® Instrument. It is not easy to identify people who are “ready to go” and fill the gaps caused by planned or unplanned losses of leaders in an organization. But succession planning is the lifeblood sustaining a successful business – and development plans underpin the entire process. Our succession planning consultants can help you prepare for the future by helping you recognize and develop high-potential talent to take vital leadership positions in your organization. 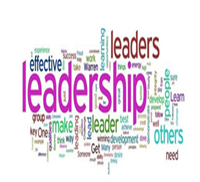 A High-Potential or Emerging Leader is one who has the potential, ability, and aspiration to hold successive leadership positions in an organization. Coaching is used to accelerate the growth of high-potential employees or emerging leaders. Often these people have been identified as part of a Talent Management program to have the potential to move up in the organization, and even to the C-level. These are the people who can easily leave an organization, and are being recruited by other firms, especially in these times of a new “war on talent.” Combined with a good relationship with their manager, providing opportunities and investing in these employees to improve their management and leadership skills, support the retention of these valuable assets. We help you identify high-potential employees; develop and retain them; and reinforce their value to the organization. Access – to direct reports, to management, to information, to resources. Communication ­– feedback, coaching, progress toward organizational goals. Engagement – engage employees in problem-solving, seek input, follow-up, report results. Leadership can be taught. All managers have a leadership role. All employees have leadership roles these days. We provide assessments for determining their current reality, coaching to help them identify actions they can take to achieve their goals, and support along the way.